I was having my usual morning ASOS browse today and realised that there were even more beautiful shoes on site than usual at the moment (hello pom pom shoes of my dreams), so I thought I'd say goodbye to my bank balance and put together a quick post with my favourites. As always you can just click on the photo to be take straight to the item! Well, apart from the big one at the top... that's just there to look pretty. Asos never fail to impress me! I love those pom pom shoes and the heart ones are so cute too! Aarrghhh! Pls stop putting lovely shoe pics on your page...you're costing me a small fortune!! It's the orange ASOS ones I really adore! Reminds me: I need new shoes. 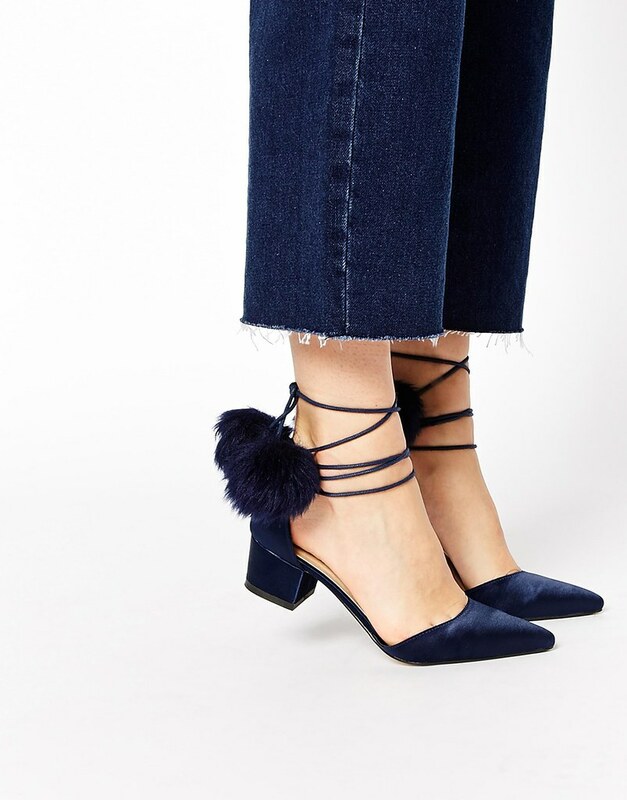 Those pom pom shoes are basically the shoes of my dreams, they're so stunning! I love the Pom pom ones! I need those wooden chunky lace ups!